Often, we meet with home buyers who are generally "confused" or completely unaware of how the Law of Agency works in Washington State where it concerns "Buyer's Agency." While the agency laws of Washington State are truly intended to offer greater protection to home buyers, we find that most people do not have a good understanding of the legal relationship they may (or may not) have with a real estate agent. As a result, home buyers often place themselves in situations which may ultimately harm their negotiating power when they wish to enter into a purchase agreement. A potential buyer contacts me to view a home, and one of the first questions I ask (after thanking them for contacting me of course) is "Are you working with another agent?" The answer is "no" - so we proceed to setup showing appointment(s). Even after mentioning in writing by email my role as a buyer's agent, after viewing a few homes I learn that this client "assumes" that I'm the listing agent of all of these homes, simply because they found the homes on my website! At first, I offer a chuckle and a light-hearted reply, expressing that... "oh how I wish I had 2,647 listings" (actually, no I don't). What You Say May Be Held Against You! This scenario happens more often than you might think - and it's not a good situation for the potential home buyer. By viewing countless homes with listing agents, assuming the buyer(s) aren't walking around with their mouths duct-taped, they risk divulging information which "could" be used against them should they decide to later purchase any of those homes. In Washington State, when you meet with the listing agent as a buyer, the listing agent is bound by a legal duty to the seller - unless you have a written "dual agency" agreement which states that the real estate agent is in fact representing both the seller and buyer (more on that another time). With this said, "legally speaking," the listing agent is required by the state licensing law to divulge to anyone viewing the home that they represent the seller. But in "real life" it is all too easy for this not to happen as it should, due to distractions or other countless situations. What About Viewing Open Houses & Model Homes? Admittedly, part of the confusion here is possibly due to real estate agents themselves, and how they interact with their buyer clients. It's not uncommon for a buyer's agent to approve of (or even recommend) their clients viewing dozens of "open houses," model homes, and new construction sites or similar situations completely unattended. Thus, over time, the buyer's feel their agent either doesn't have the time to accompany them, or that it's simply not necessary. Combine this with the buyer's often understandable desire to view homes at their own leisure and pace, and you can see why this scenario is so common. So the lesson here, is that if you are unable to view homes with a buyer's agent, or you wish to view homes casually and at your own pace, PLEASE be sure to not go into too much detail about your visit with the real estate agent at the open house or sales center, unless they specify their status as a Buyer's Agent. (To prevent these issues, it's quite common in Washington State for Listing Agents to invite Buyer's Agents to hold their open houses.) In such cases, particularly at model homes and open houses held by listing agents, it's best to politely say "I'm just looking today," and look at the house quietly. 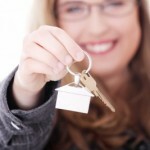 Should I Sign a Buyer's Agency Agreement? If you wish to view homes which are owner-occupied, it's always best to locate a buyer's agent who can solely serve your interests. It isn't necessary to sign a written buyer's agency agreement to have your interests protected, and in fact, one can have many buyer's agents, especially if they are looking in a large geographic area. Regardless, if you intend to view many homes, we recommend signing an Exclusive Buyer's Agency Agreement with your agent-of-choice at some point, so that all parties are clear on the relationship - including other agents you encounter in the home-buying process.